Finding the perfect goggle for you is always a fun search. Your ski goggles are your face and style when you are out on the mountain. So important in fact that I have a hard time recognizing some good ski friends without their signature goggles on their face. This season brings a fresh look with the biggest trend being new types of lenses that allow you to see clearer with better definition of the snow texture than ever before. These new lenses are less fatiguing for your eyes since they reduce glare. 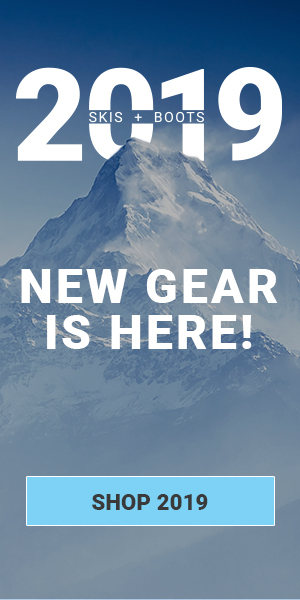 Nearly all of the major manufacturers are producing high quality lenses that are shedding new light on your skiing. The Giro Agent is a new goggle with a medium/large fit that features Giro’s VIVID Lens. The Agent uses self-locating magnets that allow you to swap out lenses in a matter of seconds when the light conditions change on you. Two lenses are included, one for either sunny and partly sunny light conditions and the VIVID Infrared lens for overcast conditions. EVAK Vent Technology uses a new foam that is non-absorbent to reduce the chances of fogging when you get some really deep face shots and your goggles can become wet. The Smith I/O Mag is a goggle that Smith fans have been demanding since the introduction of magnetic lens change options. This medium fit frame has a very similar fit to the long-standing I/O, but with a faster and easier lens swapping system. All colorways come equipped with the ChromaPop lens, which again improves the clarity of the snowpack and reduces the strain on your eyes. Unique to Smith is the Porex Filter that regulates the air pressure in between the dual lenses at altitude to eliminate distortion. The Oakley Flight Deck XM Prizm is the first goggle on this list that does not come with a bonus lens, but individual lenses for different light conditions are available for purchase separately. The Prizm Lens Technology was one of the first to the game with bringing out a new definition of clarity to your skiing. The Rimless Lens design brings out a popular style. Oakley’s Lens/Frame Support allows air to flow through your nose unrestricted to allow you to breathe easier. Not to be missed is the Olympic Harmony Colorway which was seen across televisions everywhere last February on Oakley Sponsored Athletes at the Olympics in PyeongChang. The POC Orb Clarity has a medium/large fit and is not just a favorite for racers, but freeskiers too. POC’s Clarity Lens has advanced tints that enhance your vision. The Spektris Mirror Coating compliments the base tint and helps with each individual light condition. The frame of the Orb is made from Grilamid and TPU to be incredibly lightweight, strong and durable. This innovative frame design allows for a maximum field of view with distortion free peripheral and vertical vision. Different lenses for the Orb are available, but sold separately. The Abom One is a goggle that you may not have heard of, but are quickly becoming popular at ski resorts across the world. The Abominable Labs Klair Technology gives you a one button activation of a transparent film that sits between the double lens to regulate the temperature and eliminate fogging. The One has two different modes, active mode where the heat is constantly running and boost mode to give you that extra bump of anti-fogging power on the Zeiss Designed Lens. A micro USB cable is included to give you up to six hours of battery life on a three hour charge. Top notch goggles are a must have for the serious skier. Having an expensive lift ticket on your jacket is useless when you cannot see where you are going to the best of your ability. This new caliber of lens clarity and technologies are becoming game-changers. It will be amazing to you by how much your riding and your confidence improves by simply seeing better on the mountain. The goggles mentioned here have different features which are suitable for different people. These products are good as a customer can buy any one of them.